NeurOptimal® supports peak performance, happiness and well being. NeurOptimal® can greatly enhance your well-being and help you get the most out of life. Neurofeedback unlocks cognitive potential and helps you achieve your goals and dreams. 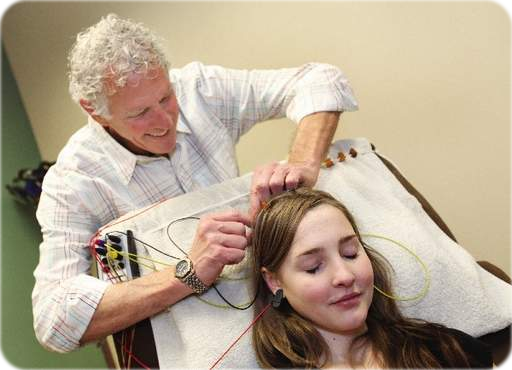 Neurofeedback is a 100% non-invasive, drug-free system that helps the central nervous system (CNS) to an optimum state of resilience and flexibility so that we can make the best use of our brain’s natural intelligence. The FDA has approved neurofeedback for relaxation training and the American Pediatric Academy has endorsed neurofeedback as a “Level 1/Best Support” treatment for children with ADHD. Free Consultation: we welcome your questions – contact us to discuss your situation.